The most pronounced attribute of WWII movies (or just war movies, period) on display in Captain America is its ensemble cast of freedom fighters. I'm not just talking about Haley Atwell, Dominic Cooper, Tommy Lee Jones or Stanley Tucci, all of whom offer star Chris Evans — uncharacteristically earnest as the Sentinel of Liberty — fine support. 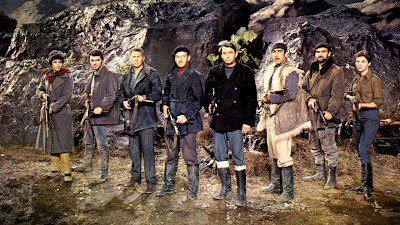 No, think more along the lines of films like The Guns of Navarone (1961), The Great Escape (1963) or The Dirty Dozen (1967), movies which united a group of unconventional Allied heroes, each with a unique expertise in some form of combat, for a series of missions against the Axis, usually in Europe. In Captain America, Johnston surrounds Cap with just such a group fairly quickly in order to, I surmise, establish his reluctance (as a result of the untimely death of one teammate) to work with such teams in the future — or at least in this week's upcoming Avengers movie. But whatever the story demands might require, Johnston also takes advantage of their appearance to pay tribute to Captain America's cinematic predecessors. What would a war movie be without the traditional prison breakout scene? In Captain America it is this rescue that establishes Steve Rogers' heroism, informs his decision to dress up in the patriotic superhero's symbolic garb and introduces the ensemble that follows him into battle, the Howling Commandos (though their name is never actually spoken in the film). Rushing in to the factory/POW camp run by the villainous Red Skull (Hugo Weaving) to save his hometown friend "Bucky" Barnes (Sebastian Stan) and the company of soldiers he fought with, Rogers also frees five additional men who will round out his team. There's the bowler hat-wearing, handlebar-mustachioed "Dum Dum" Dugan (Neal McDonough) and his African American associate Gabe Jones (Derek Luke). There's also French demolitions expert Jacques Dernier (Bruno Ricci), communications guy Jim Morita (Kenneth Choi) and a British soldier, James Montgomery Falsworth (J.J. Feild). Johnston utilizes each of them as sounding boards for the Captain and sidekick Bucky during cliché scenes like the Strategy Session, the Battle Montage, the Dangerous Top Secret Mission, etc., rarely giving them but a few lines apiece. But they also help demonstrate how Captain America stands out as a model warrior, even next to these proficient soldiers. That's not to say they are given short shrift. Each of them has his moment. Dugan gets to crack wise. 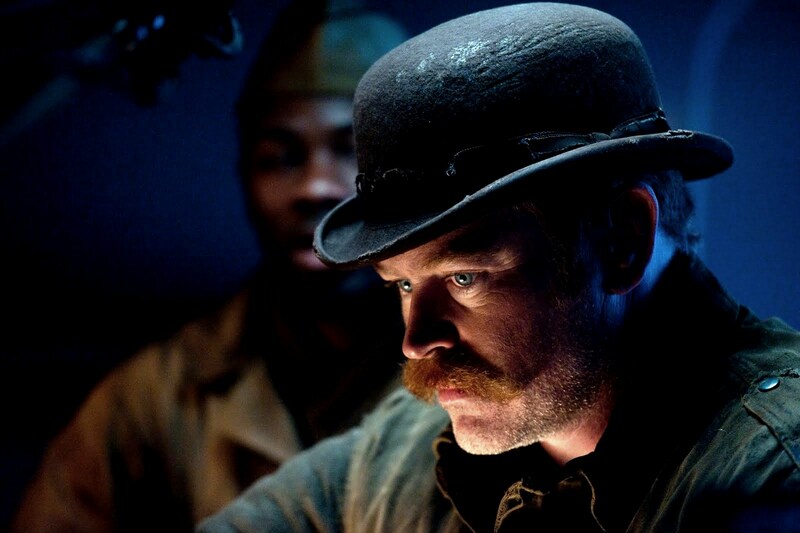 Jones captures the Red Skull's top scientist, Arnim Zola (Toby Jones). Morita is the first to see (and react to) the effects of the Skull's futuristic weaponry. Dernier gets to blow more than a few things up... well, you get the picture. What really makes these extended cameo roles so important is their place in the Marvel Comics universe and, by extension, the world of Marvel films. In the comics, these characters actually served under another Marvel movie hero, the mysterious espionage agent Nick Fury (Samuel L. Jackson), supporting players in the '60s comic book series Sgt. 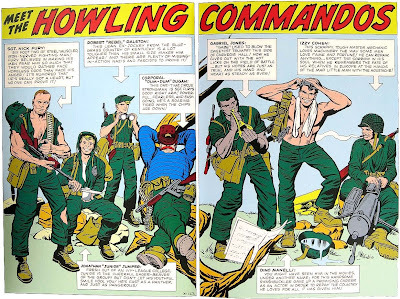 Fury and his Howling Commandos, which was set in WWII. (Any arguments about the inaccuracy of the focus-grouped multiculturalism of Cap's support team are trumped by the fact that Jack Kirby and Stan Lee came up with these characters in the Civil Rights era's infancy.) 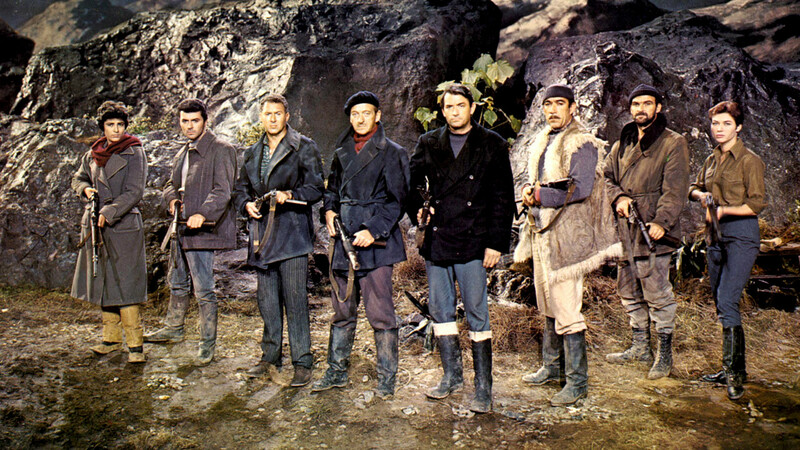 Through a scientific contrivance, all of their comic book counterparts lived long enough (and stayed young enough) to assist Fury in establishing SHIELD, the governmental agency which has so far only appeared in the background of these Marvel films. Johnston further integrates Marvel's WWII-era heroes with the inclusion of the British Falsworth, the one member who wasn't actually a Howling Commando but did go on to become Britain’s version of Captain America, the costumed Union Jack. He fought alongside Captain America and Bucky in another WWII Marvel series from the '70s, The Invaders. Even the character of Bucky serves a dual purpose. In comics, and presumably in future movies, he serves as a constant reminder to Captain America that war takes its toll on friends and loved ones, motivating Cap's desire to place his friends' safety ahead of his own. 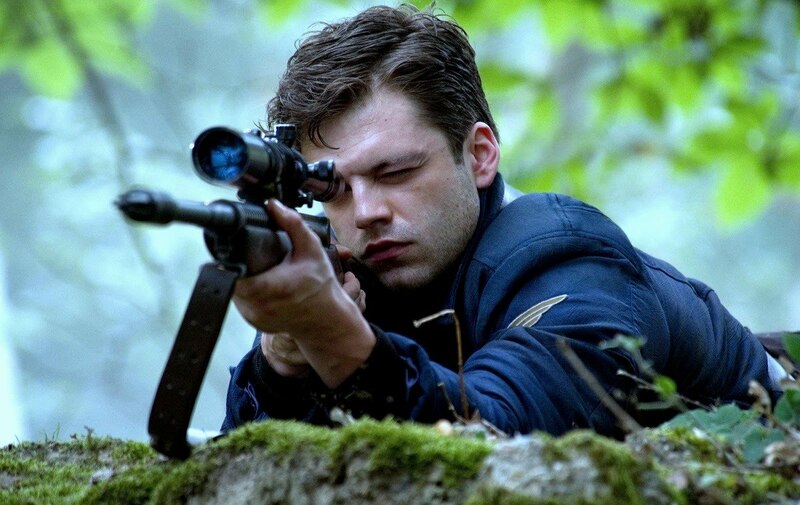 But in Johnston's film, Bucky — idolized by weakling Steve Rogers before his superhuman transformation — also serves as a barometer against which to measure the extent of Rogers' evolution into Captain America. Bucky's mid-film exit, tragic as it is, may only be the prelude to his own movie spinoff if Johnston has his way. He's already expressed interest in directing a film based on the character Bucky becomes, a brainwashed assassin called the Winter Soldier. Wisely, Johnston avoids bogging down Captain America with all of this exposition. Instead, he employs these character histories to inform the quickly paced film, offering each of his actors an unusually deep reservoir of backstory from which to draw on — to the movie's benefit. Despite the lengths to which Johnston telescopes much of the action (the film's storyline probably takes place over a number of years) the movie never feels rushed or unintelligible. Instead the portrayal of his compatriots gives Captain America a vibrancy and dynamism that demands — in spite of what the movie's final minutes have in store for the hero — some kind of a return to the WWII era in its inevitable sequel. This is a modified version of an article first published on 11/2/2011 in Nomad Editions: Wide Screen. On top of everything you mention I can add that the Cap movie's Peggy Carter is the aunt (or great aunt) of Sharon Carter, the present-day SHIELD agent who is Steve Rogers's present-day love interest. In a macabre sequel to the movie, Marvel Comics established that Peggy Carter had only died last year -- a Cap comic from around the time the movie came out opens with her funeral. Wonder if a superannuated Peggy will appear in Cap 2 if not Avengers, but if the studio wants to establish Sharon as a love interest it'd probably be better to say that Peggy died long ago. You may know this already, Samuel, but the female SHIELD agent (THE MENTALIST's Amanda Righetti) who Cap first encounters in the 20th century before he runs out into Times Square is meant to be Sharon Carter, although it is never said onscreen. Maybe they'll follow up on this in the next installment? I am right there with ya Tony about how awesome it was to see the Howling Commmandoes in action in this film. And the casting was spot on. I would LOVE to see these characters get their own spinoff film with Nick Fury leading them. In the '80s, I always thought Tim Thomerson would've made a great Fury (case in point - his role in ZONE TROOPERS) but I don't know who I would cast now... maybe someone like Thomas Jane? Well, J.D., it's all academic now, isn't it? Samuel Jackson has the role all to himself. But I'm curious about how he'd interact with these fellows, especially since in the Marvel Movie Universe (which sticks pretty close to the Ultimate Marvel Universe), it doesn't seem like Fury was alive during WWII. True. One can hope that maybe they'd plop the Commandoes in some alt. history universe where Fury is played someone else entirely. Sadly, I don't think there's enough of a commercial demand for it to happen. I'm reasonably sure a SHIELD movie will happen, J.D. It just won't be like the Steranko SHIELD some of us old-timers are familiar with.